A. For 1,2,3,4,5,6,7 & 9 days treks to Machu Picchu , the deposit is $200 + $11 service fee = $211 per person. B. For all tours, packages without a hotel , the deposit is $200 + $11 service fee = $211 per person. C. For all tours that include hotels , the deposit is $300 + $16 service fee = $316 per person. D. For all day tours & Rainbow Mountain Trek , the deposit is $50 + $3 service fee = $53 per tour. 1.However, if you want to pay in USD or Nuevo Soles cash which is highly appreciated and avoids the service fee, you can come to our office the eve of your briefing to pay or arrive early at your briefing to pay. 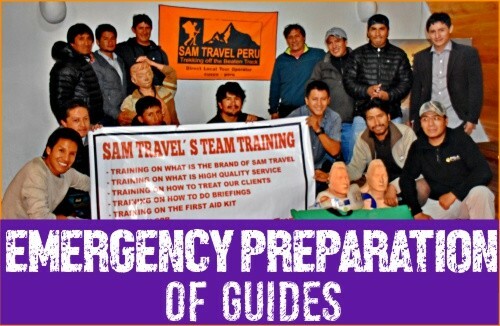 So, if you do not arrive in Cusco 24 hours in advance to pay in cash, please let us know by email and you can pay by 17 hours before the start of your briefing . , Please pay online 24 to 48 hours in advance . There is a 5.5% service charge that applies for all VISA and PAYPAL charges. Please add 5.5% to your payment when you pay. The amount appears on your travel bill already calculated for you, which you received when booking. 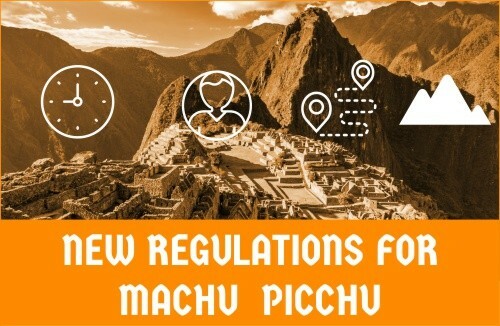 We request a deposit of $200 USD+ $75 USD (Huayna Picchu) + 5.5 % service fee that PAY TO PERU , which is a total of $286 USD for the following treks: 2, 3, 4, 5, or 7 days Inca Trails to Machu Picchu + Huayna Picchu Mt (extra hike at Machu Picchu) or Machu Picchu Mountain (hike to Machu Picchu Mountain). We request a deposit of $50 USD + 5.5 % service fee that PAY TO PERU charges ($3 USD), which is in total $53 USD for the following day tours: City Tour, Sacred Valley, Maras/Moray, South Valley, Mountain Bike, Rainbow Mountain. We request a deposit of $300 USD + 5.5 % service fee that PAY TO PERU charges ($16 USD), which is a total of $316 USD this amount of deposit is ONLY for tours and tour packages, it does apply to treks which have hotels included. We request a deposit of $500 USD + 5.5 % service fee that PAY TO PERU charges (USD $25), which is a total of US$525 for 5 days or more tour packages with 4* or 5* hotels. We request a deposit of $50 USD + 5.5 % service fee that PAYPAL charges ($3 USD) for the following day tours: City Tour, Sacred Valley, Maras/Moray, South Valley, Mountain Bike, Rainbow Mountain. We request a deposit of $300 USD +5.5 % service fee that PAYPAL charges ($16 USD) this amount of deposit is ONLY for tours and tour packages, it does apply to treks which have hotels included. We request a deposit of $500 USD +5.5 % service fee that PAYPAL charges ($25 USD) for 5 days or more tour packages with 4* or 5* hotels.